A Independent Liquor and Gaming Authority meeting today decided it had enough evidence to remove the board and empower Deputy Premier Troy Grant to appoint an administrator. Max Donnelly, of Ferrier Hodgson, will take control of the club. The timing of when Mr Donnelly will take over is not yet clear and he is expected to remain in place until all investigations into the club’s dealings are finalised. The club’s board had “ceased to be effective as a governing body” according to the state authority. The decision by the government follows the club’s moves last week to appeal some of the penalties for salary cap breaches handed down by the NRL as well as a decision to block an extraordinary general meeting — on legal grounds — that was proposing to overthrow the board. Mr Grant said today’s decision was the right one. 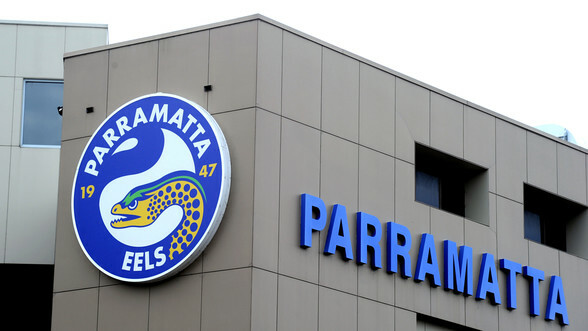 “This decision is not one that would have been taken lightly, however it now means Mr Donnelly can immediately begin the process of cleaning up and restoring the Parramatta Eels to a functional and effective club for its members and fans,” Mr Grant said. “It is in the best interest of the club, the league and the fans of Parramatta Eels to draw a line under this saga and restore confidence in the club’s administration. “The authority’s decision enables a new start for Parramatta Leagues and I congratulate its fans who have continued to support the club through this period. The Eels on Friday announced plans to fight some of the sanctions, including a $1 million fine and loss of 12 competition points. Chairman Steve Sharp, deputy chairman Tom Issa, director Peter Serrao and executives Daniel Anderson and John Boulous, the so-called ‘Gang of Five’ were also deregistered as part of the sanctions. All of this follows four months of investigations by the Daily Telegraph. NRL chief executive Todd Greenberg said the appointment of an administrator was in the best interests of the Parramatta Eels. “Our only interest is to help Parramatta become a strong and successful club again,” Mr Greenberg said. “That will only happen if the club has a strong back office with the highest standards of governance. “This decision paves the way for the Eels to get back on the right path for the fans, coach and football team.